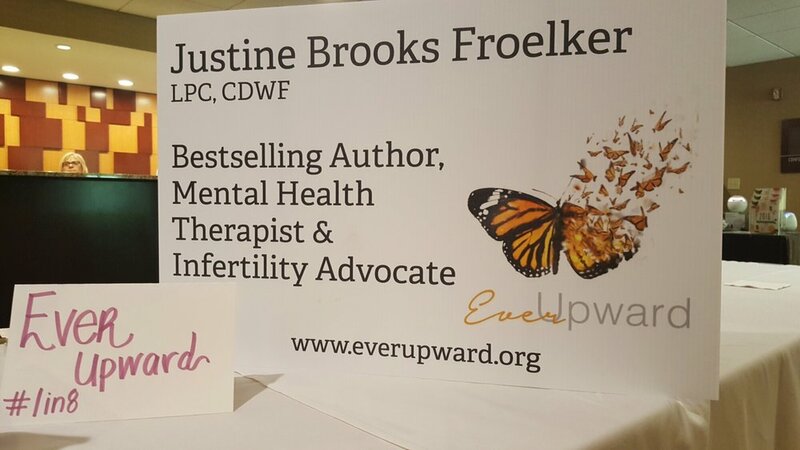 I promised a post to close out National Infertility Awareness Week today, especially since I ended up speaking at the 1st Gateway to Parenthood here in St. Louis. But, I'm exhausted. This week was more than I could have ever imagined. More work and more magic. I am still in complete awe of the shattered silence we came together to speak to the world this week. And so, I hope you'll count this as my post for the day. I promise to write all about the conference today throughout this coming week. There were some incredible moments, rest assured I have plenty of words to share with you about it. Please know I felt your love and prayers wrap around me today as I spoke my truth, honored my babies and shared my ever upward with our fellow warriors.